It seems almost impossible for a race to be run these days without a Paul Nicholls horse leading the betting – and things are no different this weekend. Prospect Wells heads into the Ladbroke Hurdle at Ascot as the 7/2 favourite and he looks good to give Nicholls his first win in this valuable handicap race. The six year-old won over the hurdles at Newbury late last month and has won twice in three hurdle outings during his career. However, he has been raced pretty heavily in recent months and this isn’t a race that Nicholls has targeted as much as other trainers over the years. 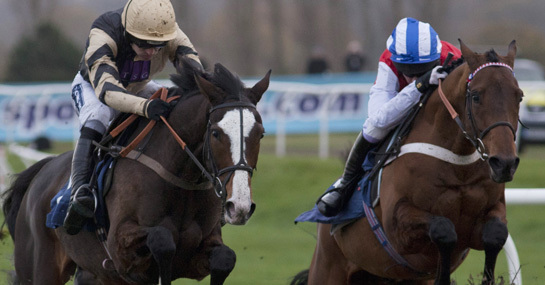 Further down in the betting is another Nicholls horse, Brampour, at 8/1. He pushed hard before eventually finishing third at Cheltenham last weekend and already has two wins over the hurdles in 2011 heading into this race. However, this could be a race too far for the four year-old who would be the youngest winner of the race since it was relocated to Ascot back in 2001. He is joined in the betting by Gibb River at 8/1. The Nicky Henderson-trained horse may well make the step up to the fences in the coming months but for now he will be looking to improve on his third place finish over the hurdles at Sandown earlier this month. Elsewhere, Abergavenny, Rajdhani Express and Sailors Warn are all out at 10/1 and should not be discounted, while Raya Star and Via Galilei can both be backed at 12/1 to claim the Ladbroke Hurdle.